Ford RS special editions have consistently proved their appeal amongst fans and collectors. The Evocation (EVO) range was created by Ford to celebrate 50 years of the RS range, and is the ultimate evolution of the 2017/18 RS editions. Ford commissioned tuning brand Mountune to build just three ultimate examples of the Mk3 Focus RS with the ultimate upgrade package, including: sports exhaust, alloy intercooler, carbon fibre rear spoiler lip, vented bonnet and Chassis features such as lowered sport suspension and lightweight breaks. 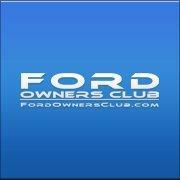 The two vehicles being sold by TrustFord will be the only ones to be made publicly available. The dealer group is committed to selling them to true fans, so will be running an application process for prospective buyers prior to auction. The ultimate buyers will also be asked to commit to keeping the car for a minimum of two years. Applications for the bidding process are only open for one more week and close on 31st January 2019. Those accepted will be invited to join an exclusive online auction to take place on Thursday 7th Feb at 3.30pm, which will be managed by BCA. The reserve price will be £85,000. To apply, contact marketing@trustford.co.uk to receive an application form.